Shannon Moreno earned her MSW from Ohio State University (the acceptable OSU). She has provided case management and/or therapeutic services to a variety of special populations, including victims of human trafficking, children involved in the child welfare system, and perpetrators of violent crimes. In addition to direct services, Shannon also has experience in training and loves empowering others to help their communities through education. 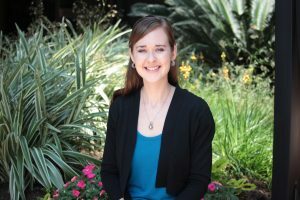 Her position is split with the Center for Elimination of Disproportionality and Disparities (CEDD) in the Texas Health and Human Services Commission, which works to identify and eliminate disparities in health services. She enjoys reading, good music, exercise and the outdoors.